Megan poses with her business partner, Jessa Loudon. Photo courtesy: Megan Manthey. 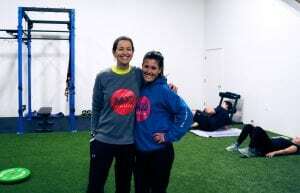 After a long professional career abroad, Ferndale local Megan Manthey has returned home to train and inspire youth athletes. Manthey played with some of the largest names in women’s soccer such as Alex Morgan, Hope Solo and Megan Rapinoe, and was on professional teams in Denmark, Iceland and France. After her soccer career took her around the world, Manthey decided she was ready to give back to the community that got her started. Manthey’s career began with the Ferndale Red Lions soccer team and it was here, at age 10, that she decided she would go pro. Staying true to her dream, she attended the IMG Soccer Academy in Florida, was on soccer scholarship, and played at two different Division 1 universities. She went on to play with the women’s Seattle Sounders and finally UEFA, the largest women’s conference in Europe. After six years, Megan retired in 2015. She returned home to Ferndale, but felt a void where soccer used to be. This inspired her to open Manthey Momentum. Megan Manthey with Alex Morgan and Megan Rapinoe. Photo credit: Mike Russell. 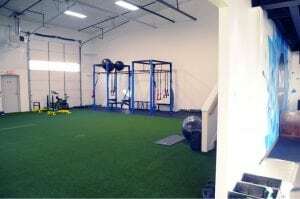 Manthey Momentum is a training facility for athletes who aspire to perform at an elite level. Here Manthey trains kids from 3rd grade up and adults, with programs targeting each age and level of ability. She offers student athlete programs, camps, adult programs and soccer skills workshops. Manthey’s training philosophy focuses on four areas of athleticism, strength and conditioning, speed and agility, nutrition and hydration, and goal setting and mental conditioning. None of these are specific to any one skill or sport, but rather work to build the athlete as a whole. 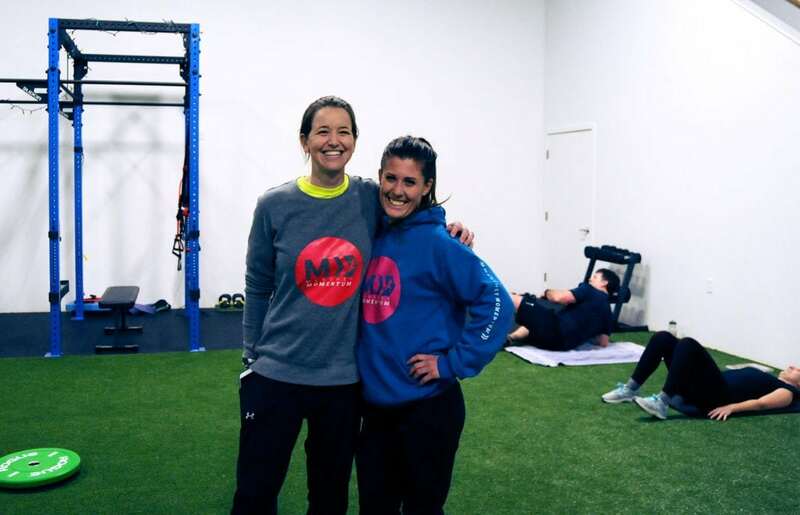 Though her background is in soccer, both she and her business partner, Jessa Loudon, have multi-sport backgrounds and train any athlete with a dream to excel. Manthey has worked to create an environment that produces athletes not only physically ready for high-level competition, but mentally prepared as well. Her “Three C’s” to achieve this goal are commitment, character and confidence. She aims to transform the lives of young athletes on the field and off, which can be seen through her highly original training approach. The Manthey Momentum training facility is well equipped. Photo credit: Megan Manthey. The innovative training tactics used by Megan stem largely from obstacles she encountered as a female athlete. Her personal experiences help her better understand what some athletes, especially females, may face as they progress, and firsthand knowledge on how to help students overcome challenges. Megan also knows that making a career as an athlete, of any gender, is lined with tests and trials. This life experience has provided a diverse athletic background and allows her to offer a unique perspective to students. Besides her training strategy, the culture she creates is equally as important to her students’ success. She says one of the most important things anyone told her in her career was to “never let yourself be tolerated, always put yourself in an environment where you are celebrated.” This has become the vision for her facility, creating a space where students feel comfortable enough to try new techniques and where their achievements are recognized. The most effective way she’s creating this culture is by basing her program on personal growth, not performance. Since opening, Manthey Momentum has grown rapidly and continues to add more classes and services as the demand rises. You can find Manthey Momentum as 1355 Pacific Place in Ferndale or by visiting their website.